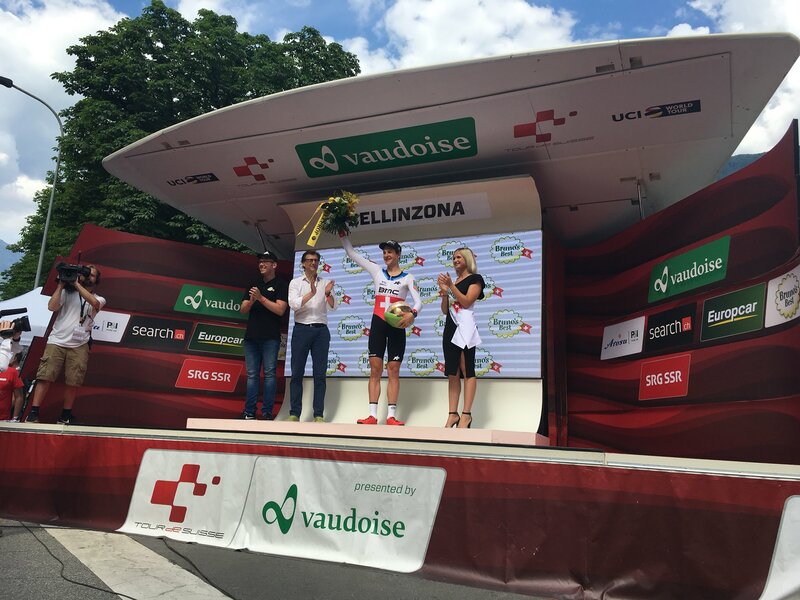 Richie Porte (BMC) secured the overall title in the Tour de Suisse today, after extending his lead during the Individual Time Trial event in Bellinzona, while his teammate Stefan Küng claimed victory in the 34 kilometer “race against the clock” with the fastest time of 39:45 – 19 seconds ahead of second place finisher Søren Kragh Andersen (Sunweb). Maciej Bodnar (Bora-Hansgrohe) set the early benchmark for the day, powering along the course to an impressive time of 40:10. The Polish rider’s time stood for quite awhile time until Kragh Andersen surpassed his performance with a time of 40:03, moving the Dane into what appeared to be the virtual winner’s position in the overall classification. In the meantime, BMC’s Teejay Van Garderen came close to eclipsing Kragh Andersen’s position on the leader board, after stopping the clock at 40:07. But, Küng later set a winning time that would hold for the duration. 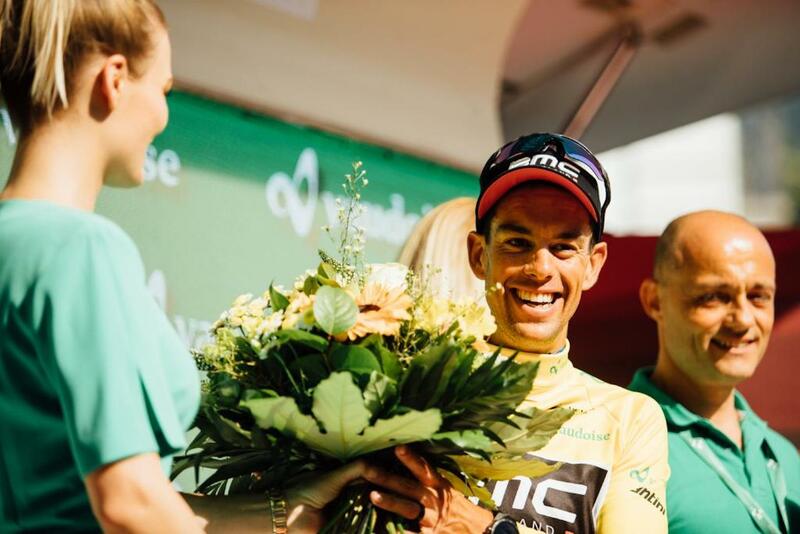 Indeed, despite sitting on the hot seat for most of the stage, no one came close to the Swiss rider’s time, while Porte achieved a respectable result of 40:48, which was enough to secure the race honors for the Australian rider in this year’s edition of the Tour de Suisse.